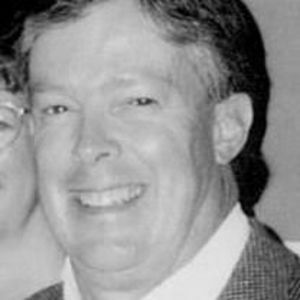 Dan Ray of Raleigh died unexpectedly Friday, October 27th, three days shy of his 67th birthday. He was born to Woodrow and Mary Glenn Ray in Panama City, Florida, and settled in Raleigh after attending North Carolina State University. He was an avid Wolfpack fan and enjoyed serving as tailgate chef (extraordinaire) for his friends at many a home football game. He worked in construction and project management for a number of companies including Carolina Builders, J. M. Thompson, Bristol Myers, and RGD Project Management. He was preceded in death by his brother, Don Ray; sister-in-law, Linda Ray; stepmother, Jewel Ray; and infant son, Andrew Stedman Ray. He is survived by his wife, Mary Graham Andrews; niece, Kaitlin Forsyth, her husband, Mike, and their children, Haley and Cooper; brother-in-law, Jack Andrews, his wife, Nancy, and their daughter, Simmons; cousins and step relatives in DeFuniak Springs, Florida; and a host of loyal friends including but not limited to the family of Bruce Park, the family of Jeff Horton, and Martin Albritton. A Celebration of Life will be held 12:30 pm, Monday, November 6th, at Highland United Methodist Church, 1901 Ridge Rd., with a reception following at the home. In lieu of flowers memorials may be made to the YMCA of the Triangle We Build People Annual Campaign, 801 Corporate Center Dr., Suite 200, Raleigh, NC 27607. Arrangements by Brown-Wynne Funeral Home, St. Mary's Str. , Raleigh, NC.